Christ has redeemed us to be a light that directs others to Him. Fulfilling this call requires us to be able to deal with the most difficult questions asked about the Christian faith. If we are unprepared for the darkness around us, it will be harder to counter it with the truth of God’s Word. 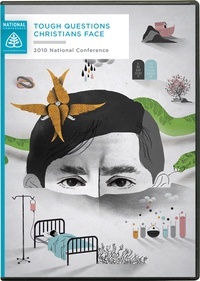 In this series of lectures from Ligonier Ministries’ 2010 National Conference, Alistair Begg, Michael Horton, Steven J. Lawson, John MacArthur, Albert Mohler, Burk Parsons, R.C. Sproul, and Derek Thomas address some of the most difficult questions that we face as Christians and endeavor to offer biblical answers to assure us and to help us defend the truths of the Christian faith. This conference also features a special mini conference on Christian communication in a hypersocial world.